The Malpensa Express train is an airport rail service linking the city of Milan with Malpensa Airport both terminal 1 and 2, in Lombardy. The Railway Station of Malpensa Terminal 2 was inaugurated on 6th December 2016. Connects Malpensa Terminal 2 to Malpensa Terminal 1 and the centre of Milan. From Malpensa Airport to Milan train takes about 30′ to reach Cadorna Station or 1h about if you want to reach Milan Central Station. Malpensa train ticket costs 13€ one way or 20€ return. 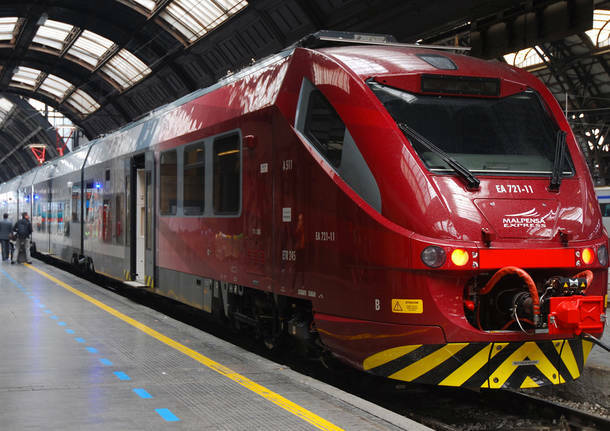 Is possibile to purchase the ticket online on malpensa express official website or at the ticket counter at Malpensa airport or Cadorna Station. How to save on Malpensa Express ? Thanks to MilanoCard, the city pass of Milan, you can discover the new promotion offered with Malpensa Express. Click here and find how you can save 20% off on Malpensa Express’s ticket from Terminal 1 and Terminal 2, if you purchase MilanoCard 24h + Malpensa Ticket, MilanoCard 48h + Malpensa Ticket or MilanoCard 72h + Malpensa Ticket . At your arrival in Milan you will be able to collect your MilanoCard just showing your train ticket (of this promotion, not any train ticket) at the pick-up location, located just few steps from the platform at the MyLink Point at Cadorna or Garibaldi Station. In Milan Central Station the pickup location is at Agenzie365 Galleria delle Carrozze. Milan City Pass includes also free public transport in Milan, free rides with personal driver and a lot of benefits for museums, tours, hotel, restaurants and much much more for 24h, 48h or 72h in Milan. Only on the website of Trenord, you can buy MilanoCard + Malpensa Express return with 20% off on Malpensa Ticket from Terminal 1 and Terminal 2. Click here and buy the new promotion offered by MilanoCard.